Welcome to A Sampling Bee! 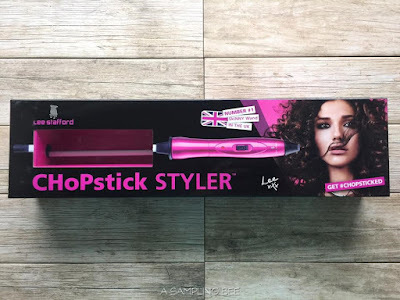 Today, I share with you the CHoPstick Styler European Ceramic Curling Wand. 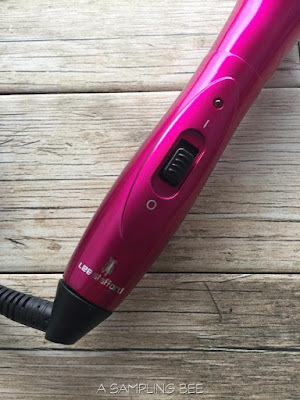 A curling wand that gives you corkscrew curls fast! This hair tool is professional quality and is very affordable. CHoPstick is the number one styling tool in the UK! This best selling British curling wand has an extra skinny rectangular barrel so you can get the exact tight curls with a perfect grip. What's more, the wand has a very fast heat up time and a maximum temperature of 392°F/200°C for great results. It has a built-in On and Off switch with LED indicator and a built-in safety stand to protect the surfaces. The CHoPstick comes with a glove and instructions. I like the CHoPstick. I had a hard time at first figuring out the proper way to get my hair on the wand because my hair is so long. But, it really allows me to achieve ringlet curls. 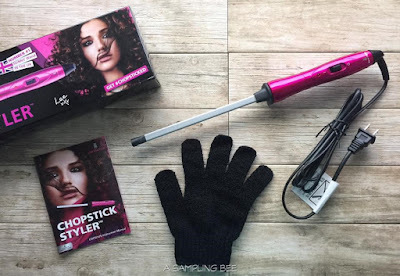 I have used several curling irons in the past and none of them worked nearly as good as the CHoPstick. The curls achieved from those other curlers never stayed. Mostly because my hair is so thin. But, this tool worked for on my thin hair. With the CHoPstick, the curls stay in all day. Even without hairspray. I was super happy with how my hair looked when done. The CHoPstick is super light. 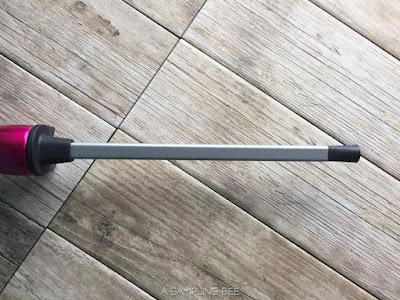 The cord is long and swivels which allows for a lot of movement when you are using the tool. It's slim design make it easy to store. 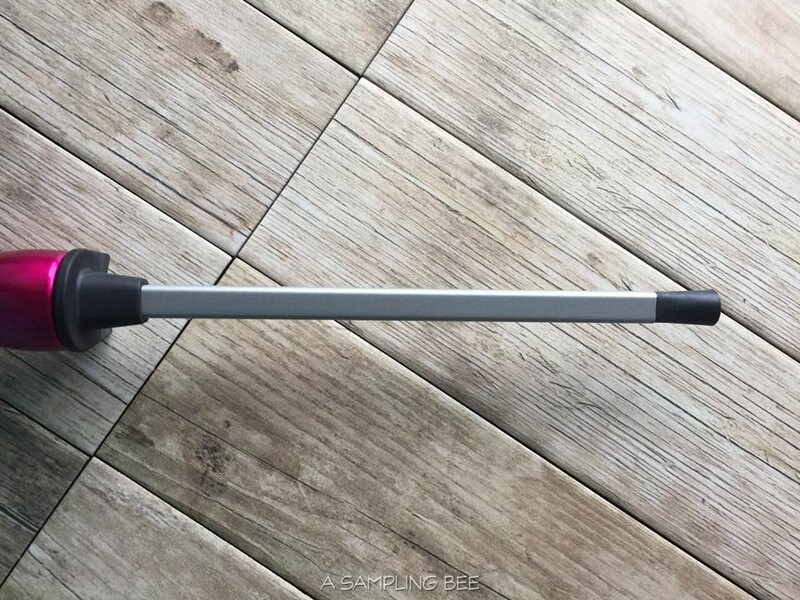 I received the CHoPstick in exchange for my honest review. All opinions are my own. Always!